Are you curious about this CBD thing people keep talking about? You know that it comes from cannabis, so does that make it similar to medical marijuana? If that’s the case, then you aren’t particularly keen on getting high in order to reap its health benefits. CBD is not an intoxicant, though, so don’t worry—it won’t negatively alter your state of mind, and it can do wonders for your body. CBD is short for “cannabidiol,” a kind of cannabinoid. Your body naturally produces its own endocannabinoids, which are part of your endocannabinoid system and help your body maintain homeostasis by regulating functions like sleep, mood, appetite, and much, much more. If you want to know more about the science behind CBD, you can check out resources from Project CBD. Adding phytocannabinoids to your system can give it a boost, which is why CBD is so sought after. Cannabidiol products are not FDA regulated or approved. There is only one example of a CBD product that the FDA has approved, called Epidiolex, which is used to treat children two years and older with Dravet syndrome or Lennox-Gastaut syndrome. CBD has proven effective in decreasing the number of epileptic seizures in children with both conditions. People often turn to CBD for products for their mind-calming effects. You might hear on the internet that CBD is not psychoactive, which is slightly misleading: while it is certainly not an intoxicant, it does affect your brain. 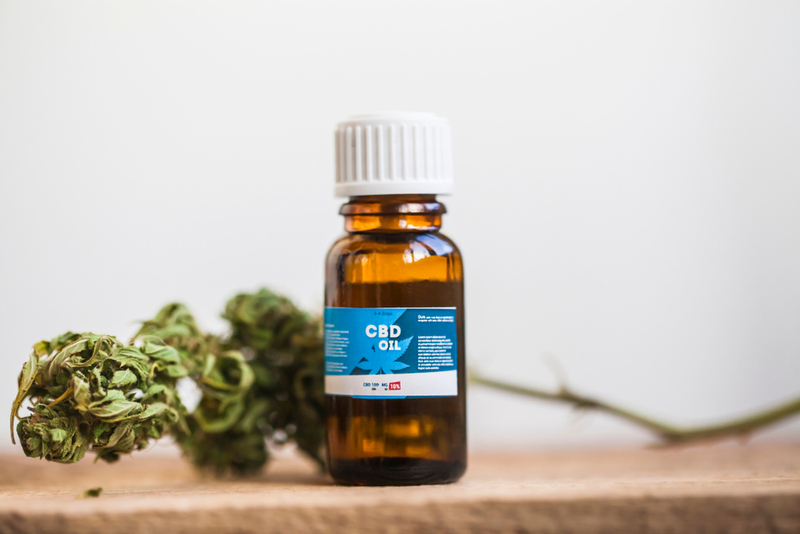 People turn to CBD to affect their brains in a positive manner, however, because both scientific research and anecdotal evidence suggest that CBD can reduce anxiety and stress. Cannabidiol is a kind of neurotransmitter, so it can ease the paranoid feeling and excessive worry that anxiety-sufferers often deal with. Verma Farms is a brand that offers products including oils named Chill, Focus, and Boost that you can use to help with anxiety. Because CBD interacts with your central nervous system, some experts believe that it could be a potential treatment for diseases like Multiple Sclerosis, Alzheimer’s, and dementia. Further research is necessary, but such findings are promising for older adults suffering from said diseases. CBD for pain relief is one of its most famous and common uses. The endocannabinoid system is closely involved in processing pain signals, so CBD can help people living with chronic pain go about their days with less discomfort. People have used cannabis to treat anxiety and physical pain for centuries, but research—albeit primarily in animals—has demonstrated that there is some truth to this application. You might think of oils and tinctures when it comes to treating pain, but there are other options for managing pain. While CBD often comes in these forms, it is also applicable as a topical salve or lotion, which can provide more localized relief to affected joint, skin, and muscle areas (as well as heal the skin itself). CBD, along with other compounds in cannabis, boast antitumor effects that increase the rate of tumor cell death in some kinds of cancer. Trials are still pre-clinical, so it is imperative to remember that there is no evidence that CBD can prevent or fight cancer in humans or mammals, but findings are promising (but not conclusive). Many people love CBD because they claim it can help them sleep more soundly at night. Chronic pain and anxiety can detract from sleep, as can disorders like insomnia and sleep apnea; many CBD advocates note that cannabidiol products can help keep them relaxed and enjoying better rest. CBD is not a cure-all, but based on what evidence we do have and claims from individuals, it provides a high number of health benefits—though you should consult with your doctor before adding it to your diet because CBD may interact adversely with other medications. Are you thinking of trying CBD?